Bait bears with bacon and doughnuts. Use spotlights to shoot mother black bears and cubs hibernating in their dens. Hunt black bears with dogs. Kill wolves and pups in their dens. Use motor boats to shoot swimming caribou. Among other things, the Associated Press and others report. It’s hard to believe these things were ever legal on wildlife preserves, but they were until 2015 — and will be again unless the Interior Department reverses course. 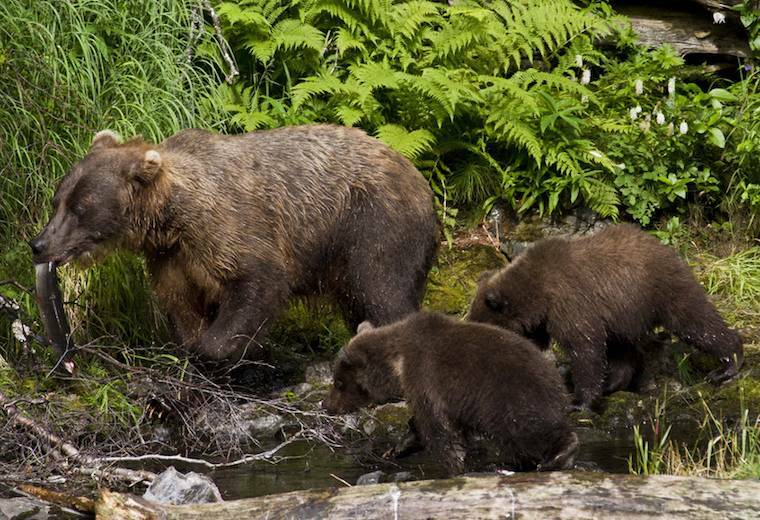 Alaska’s Division of Wildlife Conservation is on board, saying this would align regulations on almost 37,000 square miles of national preserves with state rules — although the Fairbanks Daily News Miner reports that the latter three practices (hunting bears with dogs, killing wolves in their dens, and shooting caribou from boats) are legal in only a small part of Alaska. If all of this rings a bell, it may be because Congress and Donald Trump last year enacted a law allowing unsportsmanlike hunting on wildlife refuges, including shooting bears and wolves from airplanes.